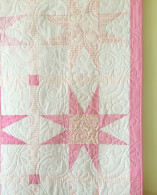 Home / Shop / Quilts / Patchwork quilt with stars in pinks and creams. 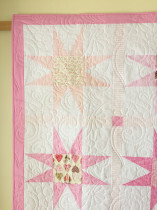 Patchwork quilt with stars in pinks and creams. 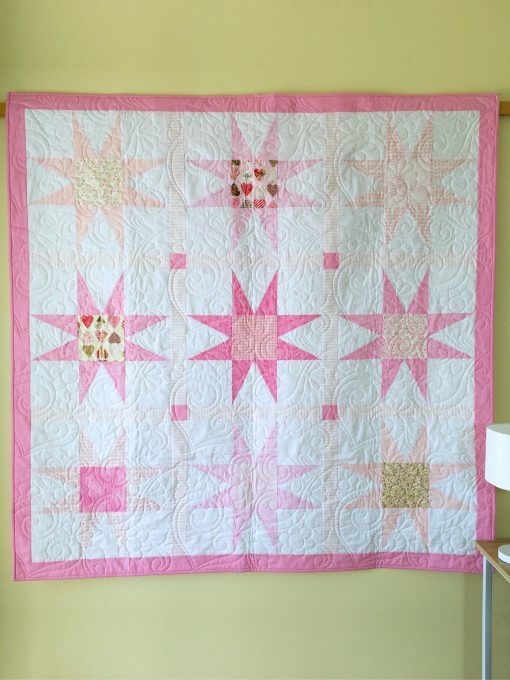 There are 9 stars on this quilt ranging in colour from soft pinks to bright candy pinks. 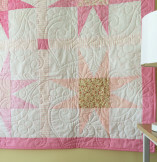 The design came about after I found 9 pinkish squares in my studio and wondered what I could do with them. The pinks sort of took over then, and this very pink candy like quilt resulted. Way to girly for my mere males, I love it. 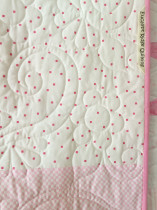 The sashings are a candy pink stripe, and the background of the stars is a white fabric with a small floral dotty design. 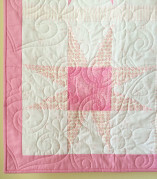 The backing of the quilt is a mix of pink check, white with pink squares and a piece of the background behind the stars. 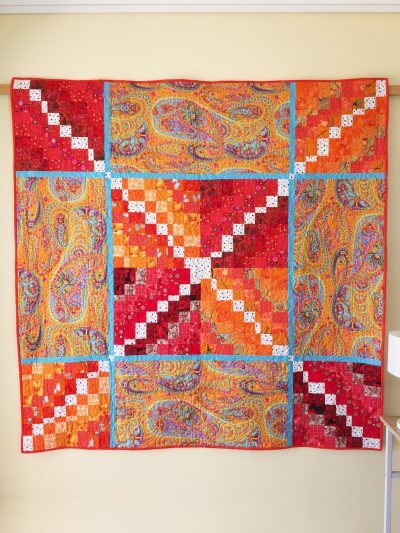 The quilting design is a swirly floral pattern, quilted in white thread. 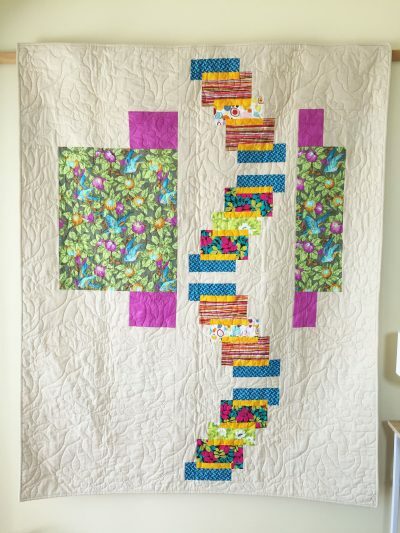 The outside binding is the same as the pink of the outside border.